DVHS is a digital recording and playback format for high definition material. It's based on the existing 1/2" VHS-sized cassettes we're all used to. A few models of D-VHS player have been out for many months now. D-VHS decks allow recording (via MPEG-2 encoding) high definition TV as well as current NTSC analog signals. DVHS video tapes carry 525 lines of horizontal resolution. 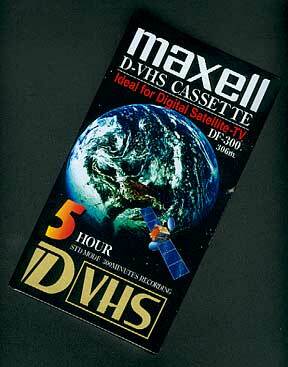 Digital VHS was originally designed Hi Definition theater systems. DVHS makes a good master if you own a DVHS deck, they can hold 2.5 hours of video at HD TV quality. I have six rolls of 16mm film and 6 rolls of sound reel..... they were filmed in 1937.... would you put them together on one dvd (film+sound) or would you record the sound seperately?? It looks like the reels are numbered..